HCG Ultra Diet Drops Review - Will It Lead to a Weight Drop? Home » Health and Fitness Reviews » HCG Ultra Diet Drops Review – Will It Lead to a Weight Drop? HCG Ultra Diet Drops Review – Will It Lead to a Weight Drop? I’m writing this HCG Ultra Diet Drops review in the midst of swirling controversy. On one hand, there are those who proclaim the product worthless. They feel the dribs and drabs of these drops will only lighten your wallet, and may not even be healthy. But on the other side, are the thousands of people who proclaim HCG Ultra Diet Drops to be their weight loss holy grail – many stating that they’ve never looked or felt better. The product’s name may ring a bell because it piggybacks off the infamous or famous (depending on who you ask) diet that calls for severe calorie restriction. I remember reading in the now defunct Longevity Magazine that human life span may even increase when caloric intake is extremely low. This assertion seems to be supported by most studies. But by dramatically reducing calories, you may not only live longer but do so in a much thinner vessel. 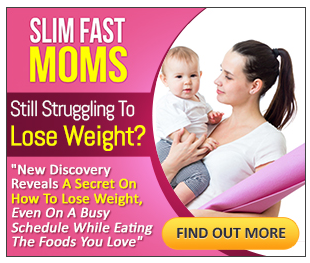 Indeed, the HCG meals plan calls for 500 to 800 calories per day. This, in itself, is very challenging to maintain. I have enough difficulty keeping that caloric threshold for one meal. Still, those who are disciplined and willing to sacrifice enticing junk food and other high calorie foods, should be able to lose a lot of weight on an ultra-low calorie diet – if only for the short term. The reason why I mention the diet is that by following it, and taking HCG Ultra Diet Drops, you should theoretically be able to lose weight even faster. Again, you have to exercise great willpower on this diet. Only two meals are permissible – lunch and dinner. (And here I thought breakfast was king.) Moreover, you have to adhere to what should be on the menu: one protein, one vegetable, one bread, and one fruit. 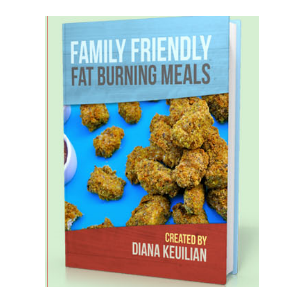 Of course, you should also follow the guidelines of healthy cooking. This means your days of frying are done. However, this is purportedly for the greater good. Eating light – eating right – weight loss in sight. So you may be wondering, ‘What does the acronym, HCG, stand for?” Well, it represents, human chorionic gonadotropin, a protein-based hormone that can be used to treat infertility in women and increase testosterone levels in men. While it is not an illegal steroid or growth hormone, traces of this substances in the body may be enough for professional athletes to get suspended. So, if you make a living playing pro baseball or football, do not consider HCG use. 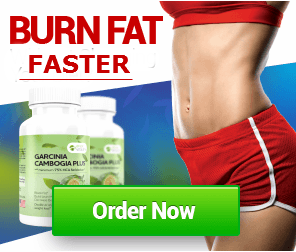 But for those who need to treat the aforementioned specific conditions, or those searching for a promising weight loss aid, listen up: human chorionic gonadotropin may be the missing ingredient to slim your waist. Now, those who are inclined to test the effects of HCG, may do so via injection. By taking this substance via syringe, you’ll ensure that that the hormone gets into the bloodstream where it will be able to deliver its benefits. These ever-popular pharmaceutical grade HCG injections primarily target fat, preserving muscle. But not everyone is a fan of shots and the expense that goes with it (yours truly included). I understand you can perform HCG self-injections but this is only for the steady-handed and those who are not faint of heart. Perhaps another option may prove more appealing. Specifically, introducing a spectrum of HCG via Ultra Diet Drops, may be more palatable. The drops are a homeopathic liquid formulation. It contains a highly diluted amount of the active ingredient, HCG. All in all, this liquid supposedly aids the body’s self-regulatory process of fat storage, helping to release that fat. It also claims, as mentioned previously, to curb appetite. The 12x, 30x, 80x, represent a formula used by the Logarithmic Potency Scales, indicating the number of parts per active ingredient to the number of parts per dilution. For example, 1x refers to 1 part of the active ingredient (HCG) to 10 parts of the dilution (alcohol/water). 2x refers to 1 part of the active ingredient to 100 parts of the dilution. Needless to say, these extremely high number of dilutions had me questioning the formula’s level of potency because the active ingredient seemed so minimal. However, after reading more about homeopathy, these micro-dilutions can still offer great benefit (at least, according to homeopathy advocates), especially since there is vigorous “successing” (i.e., shaking/activating the formula) between each time the product is diluted. HCG Ultra Diet Drops testimonials abound. But in the spirit of full disclosure, I have not yet tried the product and cannot give a first-hand experience account. 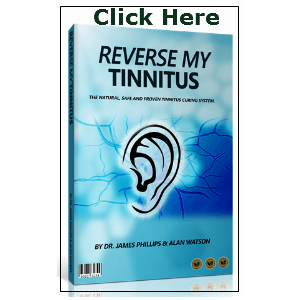 Still, with all the positive reviews and in light of the fact that homeopathic formulations can favorably affect the conditions they target, this product should work. Let’s consider how it works. 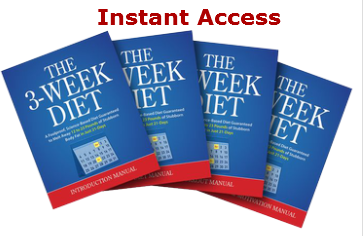 1) It resets metabolism, helping you to burn fat quicker. 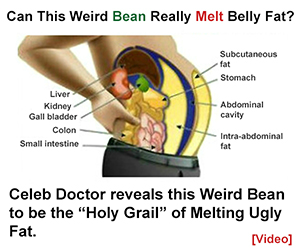 At the same time, it targets problematic fat storage where additional fat is released. 2) Hunger does not begin in the stomach. It actually begins in the brain, specifically the hypothalamus. The hypothalamus communicates with other brain cells to coordinate the uptake and release of chemicals, affecting your appetite. These drops support the hypothalamus, helping it to reset and function properly. For instance, HCG provides signals to the hypothalamus to release energy, specifically stored fat. 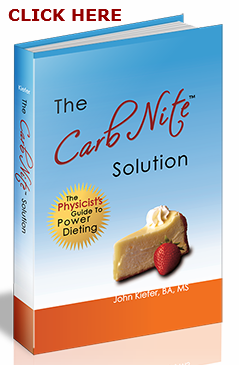 3) Appetite is suppressed as fat is used as an energy source. Those maddening food cravings should become less with enhanced hypothalamus functioning. HCG Ultra Diet Drops’ users report less belly fat, and fat around the hips, thighs, and waist. There is something to be said about easy oral application. HGC drops are delivered into your system sublingually. You just place 25 drops under the tongue, keep it there for a mere 10 seconds, and swallow the liquid. You’ll perform this procedure three times daily. What are Possible HCG Ultra Diet Drops Side Effects? Allow me to put your mind at ease. According to the manufacturer, there should be no major side effects. Indeed, a homeopathic HCG product, such as the diet drops, seems to carry much less risk that their HCG injection counterpart. The VLCD (very low calorie diet), such as the HCG diet, could pose a little more risk. Therefore, any time you decide to try a diet and/or accompanying product, you should do so under the supervision of your doctor. But all in all, HCG Ultra Diet Drops side effects, even in conjunction with the diet, do not seem so overwhelming – well, compared to the scary side effects that most drugs have. Here are possible adverse reactions, although they’re not typical reactions: Headaches, constipation, minor dizziness, leg cramps, and other minor ailments may transpire. If you should experience any of these developments, it seems advisable to check in with your physician. Please note that there are thousands of folks who are taking several different types of HCG, and who are this specialized diet, yet experience no problems. Are There Any HCG Ultra Diet Drops Negative Reviews? The vast majority of reviews that I’ve read online about this product are quite favorable. However, as I like to always weigh the pros and cons of every product I feature on the site, I noticed a fair share of negative reviews, too. Some users report that the product simply did not work. Despite taking the drops as prescribed, they did not experience any significant weight loss. Other negative reviews centered on the assertion that the product is so diluted that it does not contain enough of the active ingredient, HCG. But therein lies the debate on homeopathy, in general. Still, there are millions who practice homeopathy and proclaim to secure great health benefits. Of interest, the same negative reviews often offer an alternative product to their audiences. Comparatively-speaking, the positive reviews greatly outnumber the negative reviews. In addition, the makers of the formula, Ultra6 Nutrition, professes to have many testimonials given to the product. Beware of any vendors suggesting they have unique coupons for this product. They may only be highlighting the fact that a volume discount is provided when you purchase more bottles of the product, and/or that free bottles of HGC Ultra Diet Drops are available. Where Do I Buy HCG Ultra? You do not want to buy this product from any fly-by-night reseller. It’s important to go straight to the source – the actual manufacturer. In this way, you’ll get the same superior ingredients and high quality control. In addition, you will not find a lower price anywhere online for the actual product. You can purchase it with confidence using the link below as it goes straight to the Ultra6 Nutrition website . Can I Return the Product if I’m not Sastisfied? Yes, according to the terms and conditions highlighted by Ultra6 Nutrition, you can get a full refund of the purchase price if you return the product within 30 days of purchase. A 15% handling fee will be assessed if you return it after 30 days of purchase has elapsed, but less than 60 days. After 2 months, you’re no longer able to receive a refund. Hopefully, you’ll be more than pleased with the results and will not feel the desire to return it. The side effects are minimal, if any. There is no medication necessary; the formulation is homeopathic. It can trigger self-healing and self-regulating mechanisms that can help to thwart obesity, and take off unwanted fat in areas of the body that are very prone to fat. These drops go hand in hand with the HCG diet, based on the work and findings of Dr. Simeons who researched the effects of a very low calorie diet. He found that it is possible to lose 1 pound of pure fat per day. 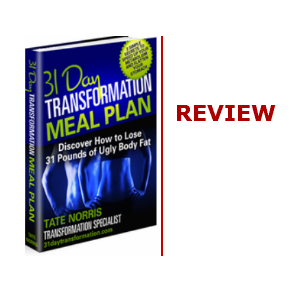 This is not merely a reduction from water weight loss or lean muscle loss. While you may experience a great outcome with the drops and/or diet, remember to always exercise common sense and caution. Your primary care physician should supervise any weight loss protocol that you implement. In summary, HCG Ultra Diet Drops may help you to dropkick other less effective weight loss systems. HCG Ultra Diet Drops Official Site – Blast Fat and Boost Metabolism Today!